The Main Event of the Australia New Zeland Poker Tour started on Tuesday, in the poker room of SkyCity casino in QueensTown, in New Zealand. Sixth and last step of the Season 5, the ANZPT Queenstown Snowfest gathered 40 players for its Day 1A, an event at 1,800 of buy-in. 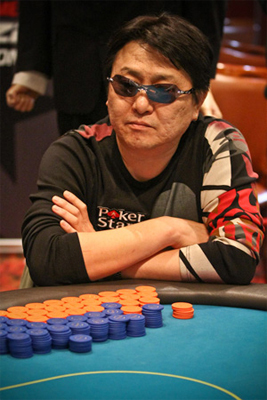 But after six hours of game, 26 players survived with Michael Chon as chipleader, who counted 59,375 chips. Among the players who joined the tables at the beginning of the day, we could find known figures of the Australian poker, following the example of Oliver Gill, Jesse McKenzie, Matt Wakeman, Ben Gilholme, Tom Grigg, Ben Richardson, Stevan Chew, Tim English, Liam O'Rourke or Hugh Cohen. Michael Chon is the leader of the survivors of the Day 1A, as he surpassed by a short head Wenjian Qiu, with 59,375 against 59,150 chips. Just after, we find Ali Ghezelbash (55,225), Andrew Forsman (55,000), Jonathan Bredin (53,875), Matthew Wakeman (53,700), Oliver Gill (45,750), Tobin Ryall (42,000), Raj Ramakrishnan (40,950) and Nathan Harvey (38,050) who concludes the Top 10 of the chipcount. The ANZPT Queenstown Snowfest should know a more significant attendance with these two other departure days, Day 1B and Day 1C. Last year, the event was won by David Allan on a field of 149 players. Some poker players such as Jonathan Karamalikis are expected to these two coming entry days of the Main Event. Concerning the classification of the Season 5, the Japanese Iori Yogo is the leader, thanks to his 11th place in Sydney and 2nd place in Perth and in Melbourne.